The northeastern United States is a region with colder winters, which will factor heavily in your selection of shrubs to plant outdoors. You’ll also need to consider other factors when selecting your shrubs, such as evergreen versus deciduous, flowering versus non-flowering, sunlight requirements and mature size. If you’re making a hedge or privacy screen with the shrubs, you’ll need to choose the appropriate shrubs for this purpose. Keep in mind that choosing the right shrubs for the right location and purpose will make your ongoing shrub maintenance and care much easier. Select non-tropical shrubs that are appropriate for your hardiness zone. 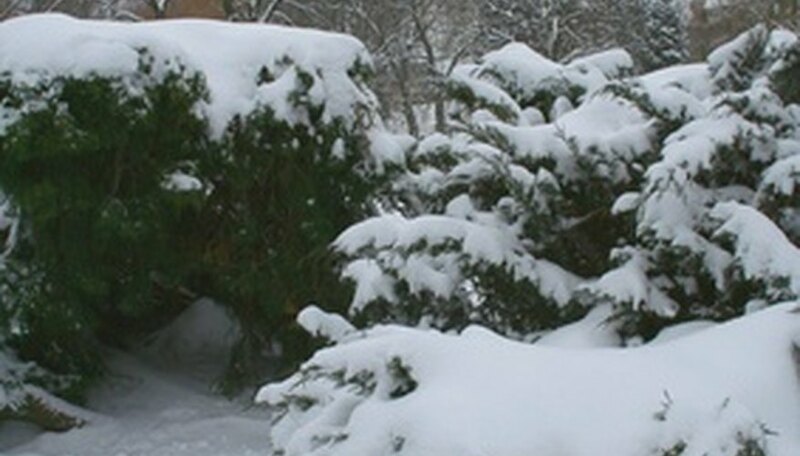 According to the US Department of Agriculture, the Northeast falls within Hardiness Zones 2 or 3 through 7—meaning that you must choose shrubs that can withstand minimum annual temperatures down to -40 degrees Fahrenheit if you live in the northernmost portion of the region. 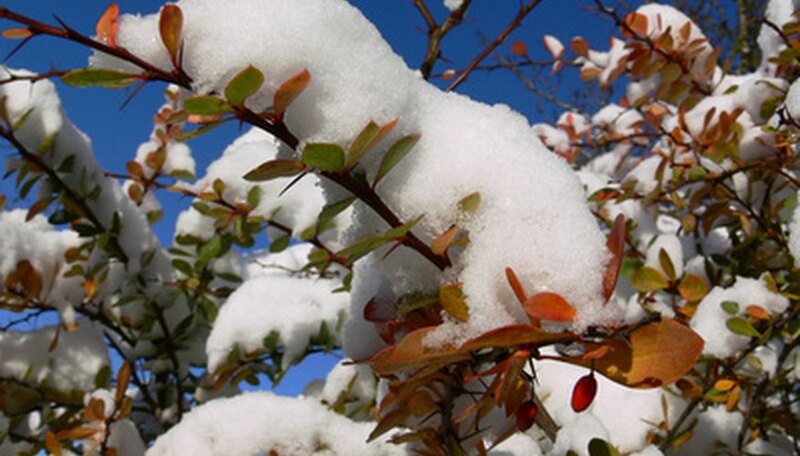 In general, you’ll need to select shrubs that can endure below-zero temperatures during the winter months. Choose shrubs on the basis of whether you will plant them as a hedge or individually. The Alpine currant (Ribes alpinum), Miniglobe honeysuckle (Lonicera x xylosteoides "Miniglobe") and the Annabelle hydrangea (Hydrangea arborescens "Annabelle") are all good shrub choices for creating hedges in the Northeast. Consider whether you’d prefer evergreen or deciduous shrubs. You may want evergreen shrubs if you’re creating a privacy hedge so that they’ll have foliage year round. Some good deciduous shrubs for the Northeast are the bottlebrush buckeye (Aesculus parviflora) and the black chokeberry (Aronia melanocarpa), whereas many types of Junipers are excellent evergreen shrubs for this region. Select your shrubs based on the location where you’ll plant them, giving particular consideration to sunlight exposure. 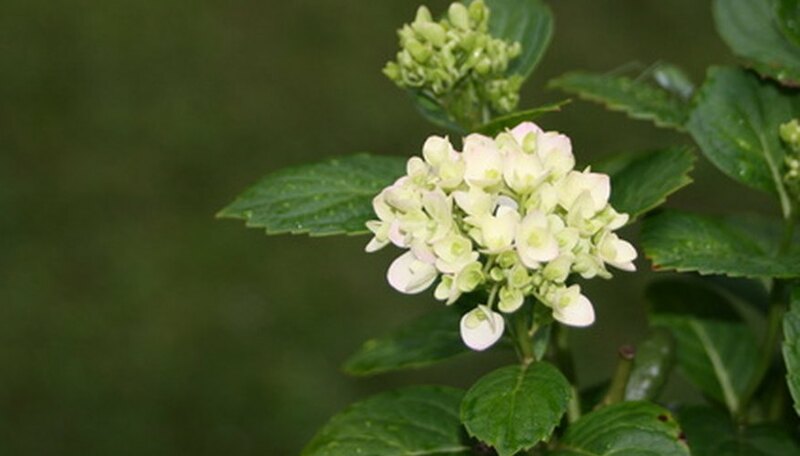 The Alpine currant, azaleas and barberry (Berberis thunbergii) shrubs prefer full sunlight, whereas the red osier dogwood (Cornus sericea) and late panicle hydrangea (Hydrangea paniculata "Tardiva") can be planted in partial shade. 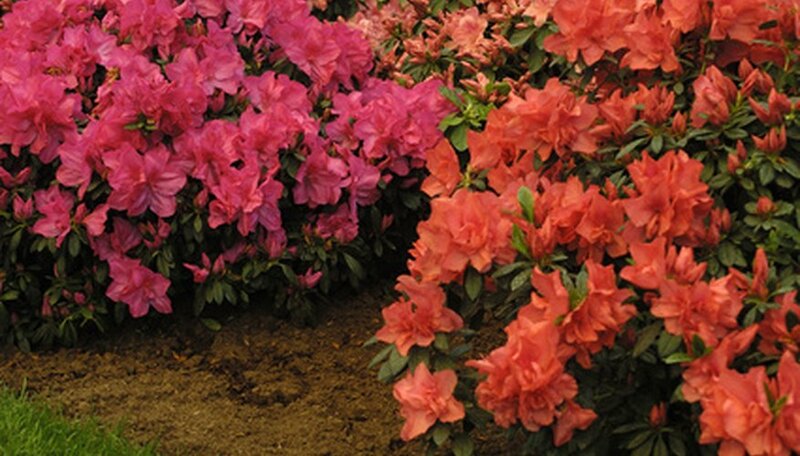 Decide whether you prefer flowering or non-flowering shrubs. 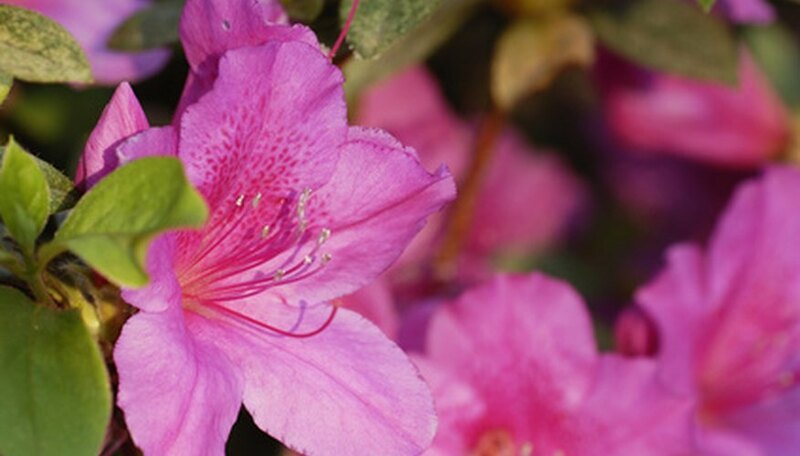 Azaleas have a wide range of bloom colors, and the spicebush (Lindera benzion) blooms in yellow flowers in early spring. The buttonbush (Cephalanthus occidentalis) blooms in ball-shaped white flowers in late summer and early fall, and the sweet pepperbush (Clethra alnifolia) blooms with white spike-like flowers into the fall. Consider choosing edible fruit-producing shrubs, such as the highbush blueberry (Vaccinium corymbosum, also known as the wild blueberry), the serviceberry shrub (Amelanchier laevis) or the American elderberry (Sambucus canadensis). Beware that some shrubs, such as the winterberry holly (Ilex verticillata), spicebush (Lindera benzion) and arrowood shrubs (Viburnum dentatum), produce berries that can attract birds, deer and other grazing wildlife. Take this into consideration when selecting berry-producing shrubs.